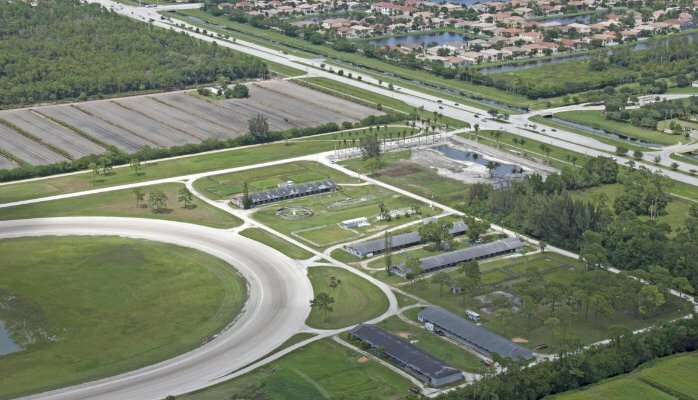 What has happened at theSouth Florida Trotting Center is an unspeakable tragedy. With thousands of barns around the Wellington area, God choose my Barn # 9. Horses will certainly need to heal many hearts around the world tonight and the darkest lense of your cameras could not "mask" the pain and sorrow in my heart. To the most recent 12 God has moved to his stable in the sky and the 11 he left in my hands I ask God, Horse and Man in "Joining Forces to Heal and to Save." Together again we shall rise from the ashes... to fulfill our calling... to fly without wings. Let the world hear "the hoof beats" as we come around that last turn. Contrary to every fabric in my competitive body, in this race it does not matter where we finish, succes will be measured based on where we started and what challenges we've overcome "just to be in the race again." God let the loudest sounds the world hears not come from our cries not from my chariots at Pompano or the Meadowlands but from yours and "The World Chariots' Dozen." From the 12 you have selected as your "Exotic Horses." Touch the hearts of Roman Lopez, Tommy Haughton, Staphanie, Amari Daley, all the heroes responding and the media covering the atrocity. I am broken hearted but not broken spirited. Send me Chariots of fire oh Lord...to mend my broken heart to give me the strength I need to help my family, my friends and my community to heal!!! !